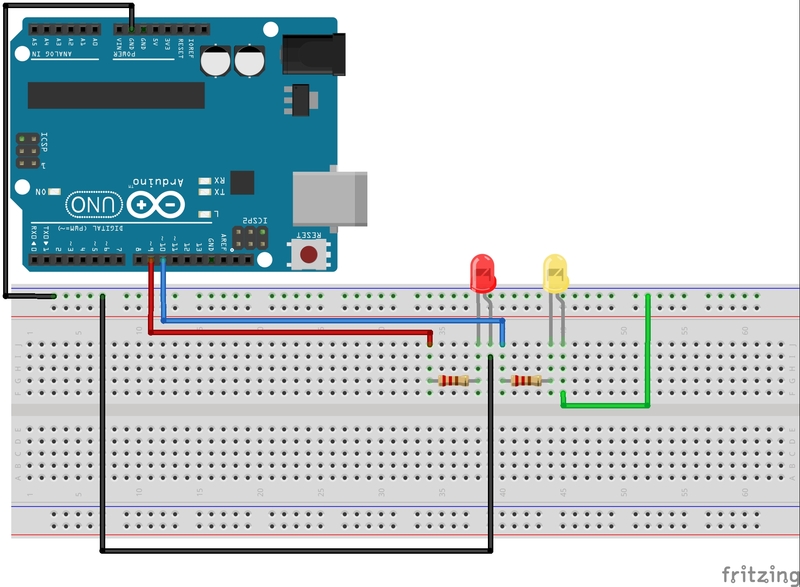 This circuit allows you to independently control two LEDs with an arduino microcontroller. It will allow us to introduce some new programming concepts to make your like with the arduino more fun and useful. Both black wires and the green wire are connecting to ground. The green wire could also be replaced with a black wire and may have been used too distinguish it as the ground from the yellow led.